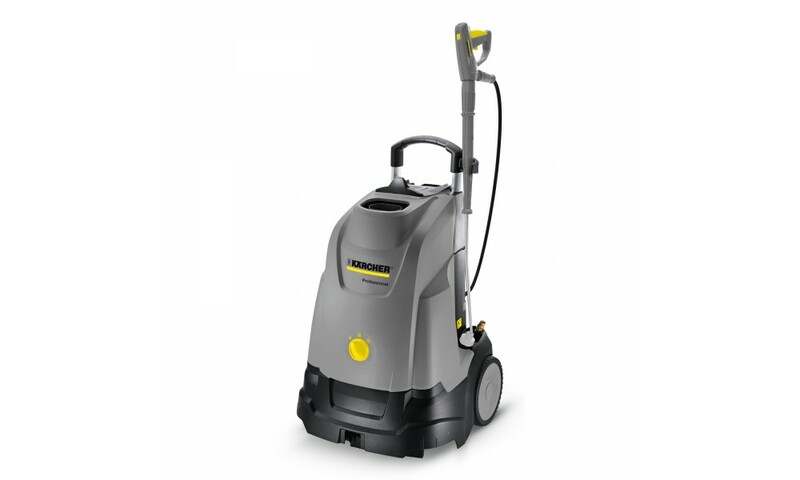 The HDS 5/11 U hot water high-pressure cleaner is an affordably priced entry-level model with an innovative upright design for outstanding mobility and ergonomics. 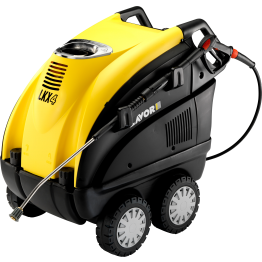 HDS 5/11 U: the entry-level model in the class of hot water high-pressure cleaners impresses with its sophisticated and innovative upright design. 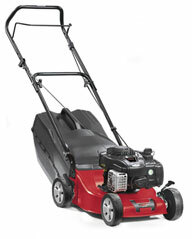 This type of horizontal machine design results in reduced weight and very compact dimensions. 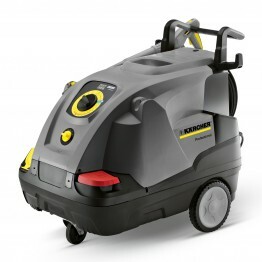 This makes the machine very easy to transport in estate cars and – thanks to the large wheels and push handle – very mobile on uneven surfaces. 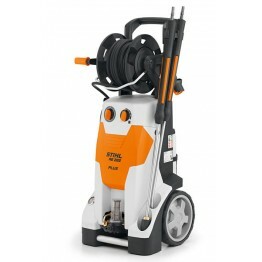 A highly efficient cleaning performance is guaranteed by the combination of patented nozzle technology, turbo blower and increased pump efficiency. 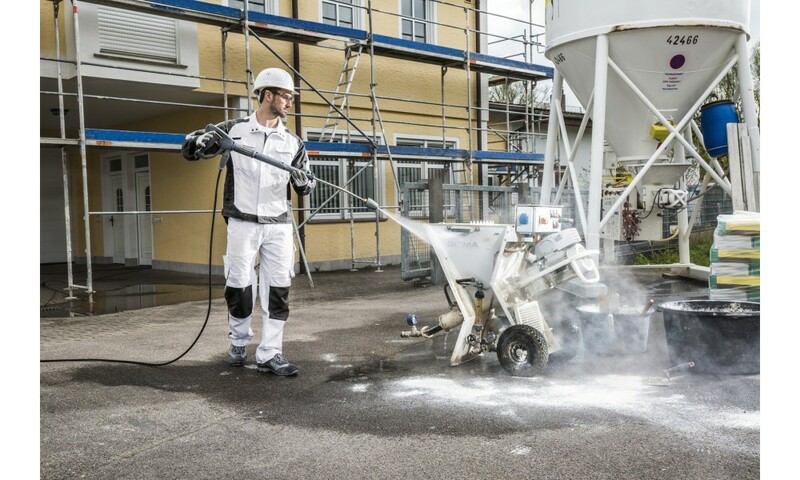 With the EASY!Forcehigh-pressure gun, which makes use of the recoil force of the high-pressure jet to reduce the holding force for the operator to zero, as well as the EASY!Lock quick-release fasteners, which make set-up and dismantling five times faster than with conventional screw connections, the machine is very convenient to use. 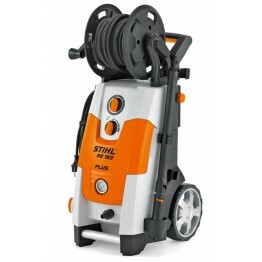 Easy operation and storage options for the hose and spray lance add to the machine's extensive equipment. 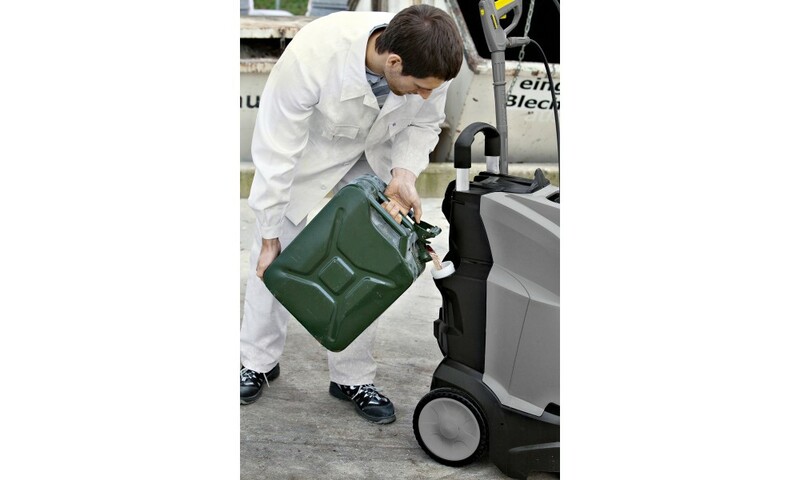 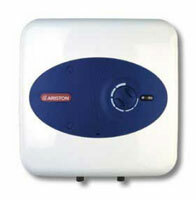 Space-saving storage and transport Spill-proof pump and fuel tank for flat transport. 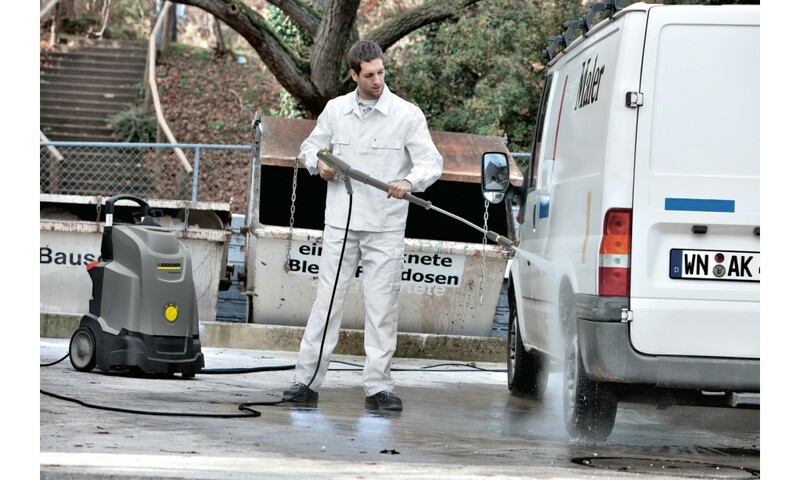 Ideal for small service vehicles. 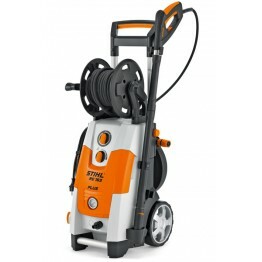 Effortless operation at last: the EASY!Force high-pressure gun. 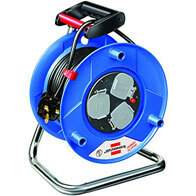 EASY!Lock quick-release couplings: durable and robust. 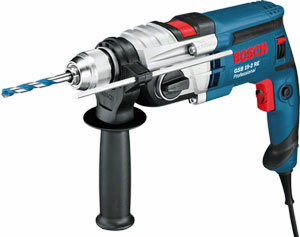 And five times faster than screws.